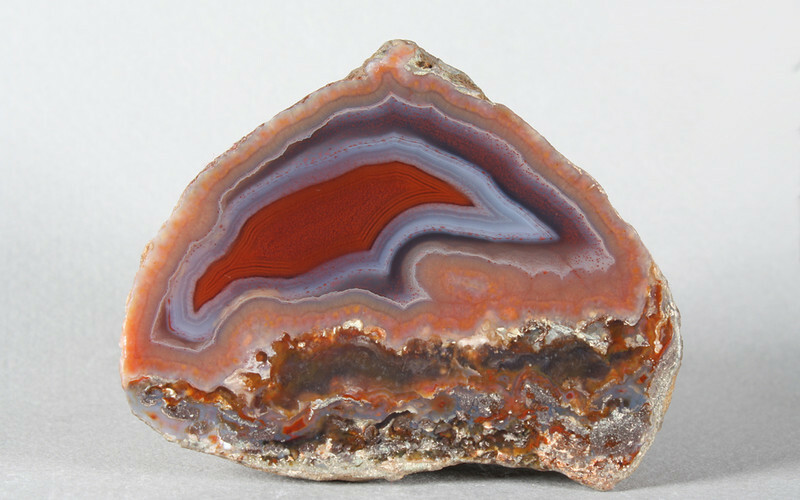 This is one of the best classic La Manea agates I have seen, great ruin agate below a sharply banded fortification agate with striking colors, the reddest red. The outer rosy pink area ties in with the colors below. Flawless.